Forget tired old timber skirting boards. Super-stylish new Alu Skirting is here, specialising in top quality aluminium skirting that is beautiful, versatile and affordable. Not only does Alu Skirting enhance the look and feel of your home or office, we also provide a wide variety of designs and vibrant colours for you to choose from. The beauty of aluminium skirting boards is you can create and combine your very own colour scheme without the hassles of painting. Plus if you ever want to refresh your colour scheme or try a totally different look, you can simply unclip the old skirting and clip on the new colour. Stop skirting the issue and embrace the modern look today. Unlike traditional timber skirting, there are no blemishes, knots or warping to ruin the look. Alu Skirting comes in a wide range of contemporary colours, styles and profile not just timber! Alu Skirting is made of rust-free aluminium that takes a lot punishment; it wont crack,splinter warp of rot if exposed to water. Alu Skirting can simply clip on and off or offortless replacement or removal when painting your walls. Alu Skirting is very affordable and less expensive than timber boards once fitted. 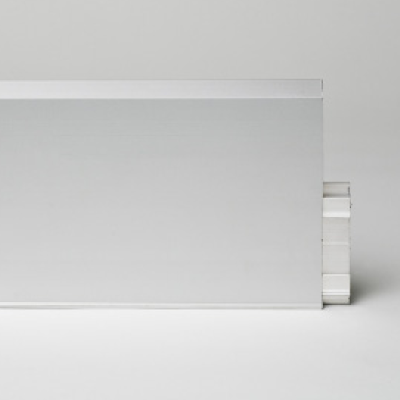 Most distributors of aluminum skirting boards have only 1 to 2 types of skirting. Alu Skirting has designed its own range of skirting in order to give you more choice. 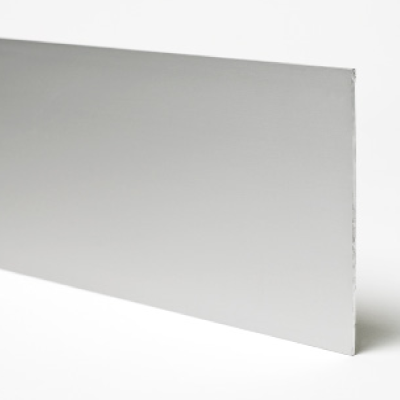 We have 4 aluminum skirting styles available in a myriad of sizes and colours. 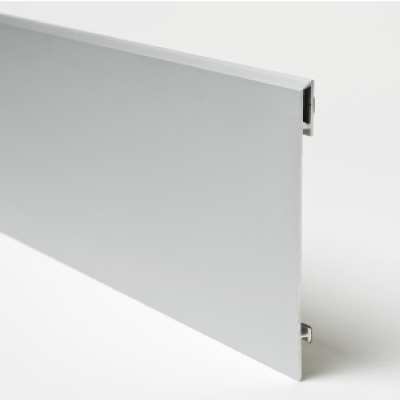 Contact us now for a quote on your next aluminium skirting project.